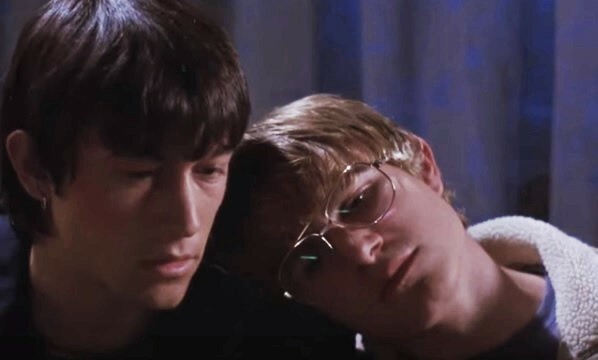 Actor Joseph Gordon-Levitt went from just another TV child star to indie film favorite with his performance in Gregg Araki's 2004 drama, "Mysterious Skin." The story deals with the traumatic affects of sexual abuse as experienced by the two boys in the film. Joseph Gordon-Levitt and his co-star Brady Corbet (pictured in a scene from the movie above) play their roles well. Other cast members include: Michelle Trachtenberg, Mary Lynn Rajskub, Elisabeth Shue, Chris Mulkey and Richard Riehle. The screenplay by Gregg Araki is based on Scott Heim's eponymous 1995 novel. Here's the trailer for the film, Mysterious Skin.